Great! ... Fantastic Location. Here you do get the feel of the power of nature. Atlantic waves smashing in, strong wind blowing ashore - wonderful. And a charming hotel with lots of space, nice rooms and splendid views. Great atmosphere, good people, we loved our stay. 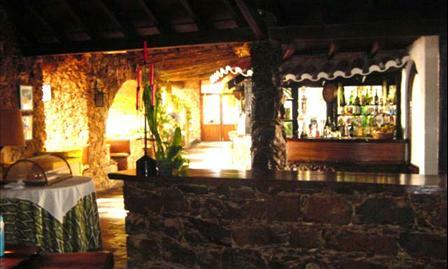 The Estalagem, in this natural scenery, has a typical Portuguese decoration. 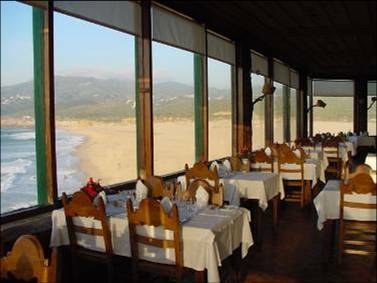 Its restaurant is one of then most known in the region due to its magnificent view over the ocean and its cuisine. A unique atmosfere can be found at the bar. Looking over the Atlantic from Guincho beach close to the western-most point of the European Continent (Cabo da Roca), "where the land ends and the sea begins" - the Estalagem Muchaxo lies on the Lisbon, Cascais, Sintra tourism triangle. The air is bracing in the midst of a pleasant landscape giving on the vast ocean. The bright sunshine is tempered by refreshing breezes from the Sintra hills. For golf enthusiasts there are 7 golf courses close by. 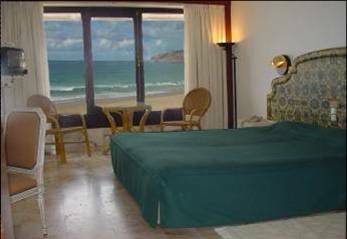 Rooms: an "estalagem", the equivalent of a 3 star hotel with 60 rooms, 24 of them (Fortress Wing) decorated in a rustic style with sea view, and 38 "East Wing" rooms with a more modern atmosphere and views of Guincho Beach, the Sierra de Sintra and Rock Cape, all equiped withsatellite TV, telephone, air conditioning and bathroom, "safe in the "Nova" rooms. 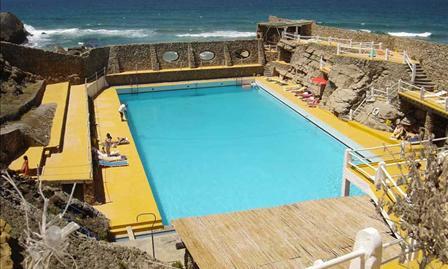 Facilities: sea water pool on a cliff, car park and 2 rsstaurants. All equiped with satellite TV, telephone, air conditioning and bathroom, safe in the "East Wing" rooms. Facilities: sea water pool on a cliff, car park and 2 rsstaurants. In the Guincho Beach, near Cascais and Sintra, in the natural park, with superb scenery and facilities for access. Cancellation less than 48 hours prior to arrival, first night will be charged. From the Airport, follow the sigh IC19 until you reach the sign A5 to Cascais. Take A5 towards Cascais until the end. Exit Cascais on the left 1st roundabout towards Birre. 2nd roundabout, towards Torre. 3rd roundabout drive until you reach the sea. 4th round-about towards Guincho ( on the right ).